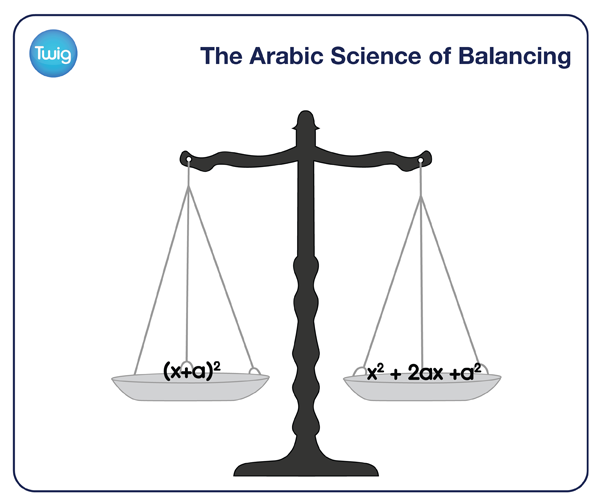 The Arabic development of 'the science of balancing' using 'Al-Jabr', which laid the foundations of modern algebra. During the 8th century, an Islamic golden age of intellectualism dawned across the Middle East. Baghdad was a centre of learning, home of the legendary House of Wisdom. Where great scholars built upon and improved ancient works. They began to combine Greek geometry and the Indian numeral system, devising an ingenious method for solving equations. The great Arabic mathematician, Al-Khwarizmi, developed a set of rules for perfectly balancing equations, which he wrote in a book titled 'Calculating by Completion and Balancing'. When the book was translated in to Latin – by western scholars – they translated the word al-jabr, into 'Algebra'. Al-Khwarizmi used it to describe the process of subtracting a term from both sides of an equation. This is what Arab Scholars called, 'The Science of Balancing'. Understanding that both sides of an equation must balance allowed Arabic mathematicians to work out unknown values. Say for instance, that a trader knew one cow was worth two gold coins. If he knows that two cows and a bag of wheat are worth 10 gold coins. He could use algebra to calculate the value of the wheat alone. First he puts in the known value of the two cows. Using the rule of al-jabr, he must then subtract this value from both sides. This gives the value of a single bag of wheat. Al-Khwarizmi's technique for working out unknown quantities, allowed the Arabic world to solve practical problems of inheritance, tax and land ownership. 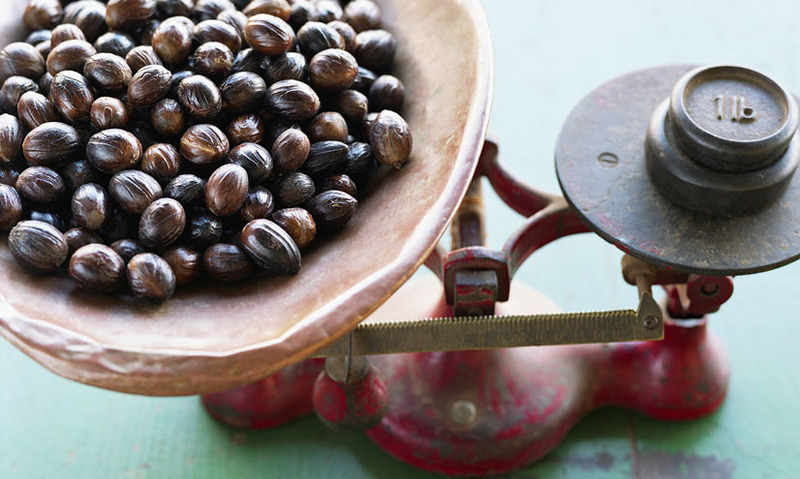 As well as trading, which boomed across the Middle East as mathematicians built on the fundamental balancing rule, of Al-jabr.